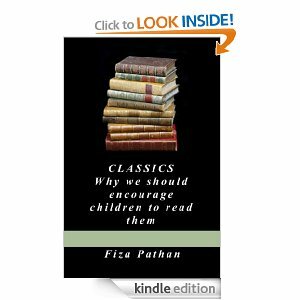 My eBook ‘CLASSICS: Why we should encourage children to read them’ priced at Rs 180/- is available on Amazon India for immediate download on Kindle and other devices including PC. If you do not have a Kindle you can download the Kindle software for your iPad, iPhone, all Android devices, smartphones,tablet, PC. In all other countries it is priced at $2.99. Your support is required to spread the message of Classics and the necessity of good literature in India and in the world.